Darin Graber is the Director of Bands and Fine Arts Department Chair at Bingham High School, a position he has held since 2000. He holds a Masters Degree in Instrumental Conducting from Washington State University, Pullman WA studying under the baton of the late Dr. L. Keating Johnson, a Bachelors of Music Education Degree with an emphasis in Secondary Instrumental Music from the University of Kansas, Lawrence KS performing under the direction of Robert E. Foster & James Barnes, and an Associates Degree in Education from Hutchinson Community College, Hutchinson KS while on a full jazz scholarship. He is a current or past member of the Utah Music Educators Association, Music Educators National Conference, Washington Music Educators Association, Kansas Music Educators Association, Kansas Bandmasters Association, and National Bandmasters Association. He is a past President of the Utah Bandmasters Association and has also been a member of such music associations as SPEBSQSA, Kappa Kappa Psi, and the American Federation of Musicians, local #110. Originally from and teaching in the Midwest, Mr. Graber taught middle school and high school band, orchestra and choir for five years in Kansas, spent two years at Washington State University as a graduate teaching assistant with the WSU Bands, and is in his 19th year teaching in the Jordan School District, 18 of which have been at Bingham High School. He was a member of the Idaho/Washington Symphony Orchestra and has performed on trumpet with groups backing up such musical and jazz greats as John Faddis, James Moody, David Steinmeyer, Clark Terry, David Foster, Frank Mantooth, and Aaron Neville and the Neville Brothers. He also has credits on several independent albums, received a Downbeat magazine student musician award, has done some studio work in the Kansas City area, and occasionally freelances on trumpet in the Salt Lake valley with different groups and ensembles. He enjoys restoring british sports cars in his spare time, and currently lives in Riverton UT. Chris Lyon is an Assistant Director and Low Brass Instructor with the Bingham Marching "Miner" Band and has served in this position since the fall of 2010. He is currently the Director of Bands at Elk Ridge Middle School, one of the two middle school feeder programs for Bingham High School, and has years of experience in the classroom, with the last four being at his current position. Mr. Lyon has a Masters of Education from SUU, a Bachelors of Music from BYU, and an Associate of Arts from Snow College. While in college, Mr. Lyon studied bass trombone performance and has performed across the valley with the Utah Symphony, in various Broadway musicals, and in several big bands. Mr. Lyon resides in West Jordan with his beautiful wife and his two amazing daughters. He is an active member of his local church organization, is a leader in his community, and speaks fluent Portuguese. In his free time, Mr. Lyon enjoys playing and watching soccer, spending time with his wife, and playing with his children. 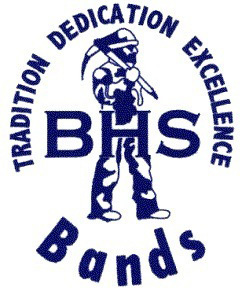 Rachelle Lyon is an Assistant Director and the Low Woodwind Instructor for the Bingham Marching "Miner" Band, a position she has held since 2011. Her teaching experience includes four years as Director of Instrumental Music at Eastmont Middle School, and one year as Director of Bands at Terra Linda Elementary School. In addition to teaching in the public schools, she maintains a private saxophone studio. Mrs. Lyon has a Bachelors of Music from BYU with a focus on saxophone performance, and currently is the saxophone section leader for the Salt Lake Symphonic Winds. She has been a member of the world renowned Synthesis and has also performed locally in several Broadway musicals and local big bands. Mrs. Lyon left public education in 2011 to be a stay-at-home mother and resides in West Jordan with her husband and two daughters. In her free time she enjoys shopping, playing her saxophone, reading, and spending time with her awesome husband and beautiful girls. Mecqae Knight is an Assistant Director and High Woodwind Instructor with the Bingham Marching "Miner" Band. Mecqae is the former Director of Bands at South Jordan Middle School, one of the two middle school feeder programs for Bingham High School. Mrs. Knight has a Bachelors Degree in Music Education from Utah State University and graduated with honors. Among her favorite memories is attending Bingham High School and playing in the very band she is now helping to direct. She is a current and past member of the Utah Music Educators Association, Utah Bandmasters Association, and National Bandmasters Association. She has also been a member of Tau Beta Sigma, the national band sorority. Mecqae plays the clarinet and plays in Wasatch Winds, free lances in various groups in Salt Lake, and teaches a private clarinet studio. Mrs. Knight currently resides in West Jordan and in her free time she enjoys reading, playing softball, sleeping, hiking, backpacking, camping, and playing her clarinet. Thomas Tolman is the Director of the Color Guard Program at Bingham High School. Thomas participated in the Grantsville (UT) High School color guard program from 2004-2005, and the Kearns (UT) High School color guard program from 2005-2007 also competed with Urban Expression Independent A from 2008-2011. Thomas then marched with the Urban Expressions World Guard for the 2013-2014 season. He has taught and was a tech for Winter guard programs for Kearns High School in 2007-2008 and both Urban Lite West and Urban Expressions Open in 2013-2014. Dane Peterson was first introduced to the marching arts under duress his freshman year of high school in 2005, but immediately came to love it and has been involved ever since. Introduced to drum corps for the first time that year, he joined the Blue Devils B corps in 2007 and played with them for two years before moving to Utah. His indoor experience includes 3 years in the CCGC (Now NCPA) with Amador Valley High School, and 3 years as quad section leader/tech for South County Percussion in Utah. After playing for BYU in 2009 and 2010, he taught at Provo High, Maple Mountain High, Juan Diego Catholic High, West Jordan High, and Copper Hills High. Dane is an active clinician and private teacher for the marching arts, and is currently pursuing a degree in Cell & Molecular Biology at the University of Utah.